Daniel Angermann is a cologne-based Graphic Artist working on a variety of projects from typography, identities & websites to video & photography. 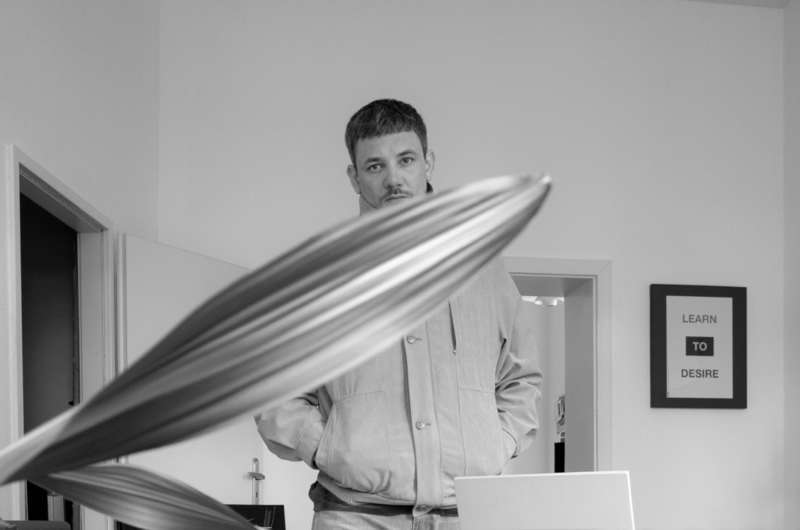 During his studies he co-founded the Büro Freiheit (designbüro köln) – a cologne based studio known for creating responsible & socially relevant design solutions. He also co-founded the Pop-Up producers gallery »AUGUST« where he curated exhibitions with positions from national and international artists like Max Kersting, Helmut Smits, Nico Krijno, Andy Kassier, Hannah Sophie Dunkelberg and Malte Bartsch. He regularly gives interviews and guest lectures for magazines, publications and colleges in the field of art and design. For further information or to discuss your upcoming project don’t hesitate to get in contact. »We are all mediators. My work centres around us. Therefore every kind of art demands responsible dealings and the freedom of any individual within its activities. It is all about communication between the world and us as humans. In times where everything is measured by its aesthetic quality taking place in a reality flooded by the media, the degenerated archetype calls for transformation back into a more natural one needing to be aroused and spread all over the world. 2010 Television advertising is changing. BMW Isetta and BMW Mini in comparison. 2010 Frans Snyders – Life & work, analysis. 2010 Parcours – Interview and text work on the importance of the social environment in which self-employment. 2009 From Hollywood to Berlin and back again. »Wings of Desire« and »City of Angels« in comparison. 2008 Role theory, leisure and freedom to Adorno and Dahrendorf compared. 2007 The letter of Menoeceus - An Analysis. Wer sich nicht zum Affen machen kann, der gehört nicht den Affen an.